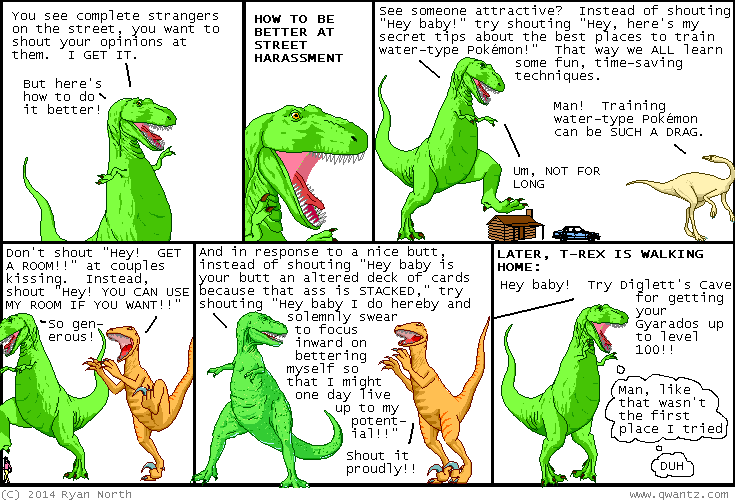 Dinosaur Comics - September 16th, 2014 - awesome fun times! –I could look around and say "In ten minutes, it's going to rain!" One year ago today: who wants to live forever? as like, a birdghost of perfect beauty?